Run ifconfig to see if you’re getting network traffic on both NICs as a test to see if boht are active at least, this would be what you’d do with iSCSI connections. You will be able to leave a comment after signing in. Or if the utility exists on XenServer, there may be a dos2unix command Then send it back over, over-righting the current multipath. Sorry for the basic questions but I don’t use Linux that much. 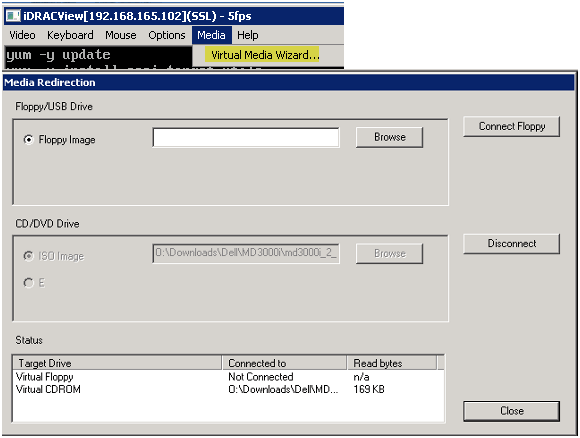 The VMs should not be attaching to the MD array. Tobias, I have an MDi connected to two Xen 6. Dell this post Link to post. What does “multipath -ll” show? I show 4 of 4 active connects in Xen Rdqc. Sorry for the basic questions but I don’t use Linux that much. The basic process we use is: The sd devices assigned won’t necessarily map with the same designations sdc,sdf, etc. I’ve tried specifying the second controller as the “Target Host” and then selecting it in the “Target IQN” drop down with no effect. I was bale to edit the mutipath. Would the proper procedure be multipathh delete everything in the multipath. In any case, you should just have to restart the multipath daemon: Is there some way, maybe in the multipath. Sign up using Facebook. Run ifconfig to see if you’re getting network traffic on both NICs as a test to see if boht are active at least, this would be what you’d do with iSCSI connections. So I guess I am using the defaults. Used to use fiber channel more, bit have converted over to iSCSI over the last couple of years. Upvote if you found this answer helpful or interesting. Does your MD array use both network connections simultaneously? Apologies for the inconvenience. As I answered in the other question, it might be your disks, and we need more information. Mark this reply as best answer, if it answered your question. I connected to that Xen Server using Filezilla and pulled over the multipath. The only thing I did was to enable Multipathing in Xen Center. You will be able to leave a comment after signing in. It did add the lun after some time but it was so slow as to be unusable. Is this an invented behavior? It should be correctly configured already in the iscsi. Everything seems to be working fine. I have 2 hosts Sign up using Email and Password. Was that correct to delete everything and just past what you posted in brackets, indcluding the brackets them self, or should that get placed in a certain area of the original multipath. Sign In feature is currently unavailable and you will not be able to post new content. Sign up or log in Sign up using Google.